Microsoft to Close Web With Yahoo Search, Facebook? Who can keep up with this insanity? Since Ballmer couldn't have his way with Yahoo, he's now going at it from a different angle allegedly discussing with Yahoo a partnership or acquisition of Yahoo Search. 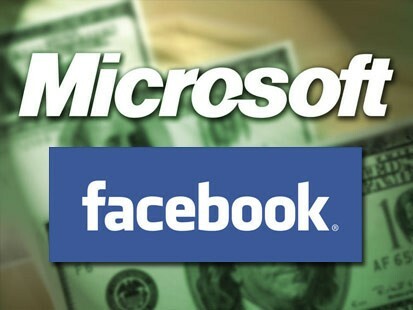 John Furrier also seems to think Microsoft will scoop up the rest of Facebook as well. While nothing, of course, is clear and won't be until if and when any deal is penned, Microsoft taking over Facebook is a scary thought. Robert Scoble makes the argument a Microsoft acquisition of Yahoo Search and Facebook would lead to a closed web over which Microsoft would have complete control while Google would be locked out leaving "data and social graph portability ... dead on arrival." If it weren't bad enough an army of wannabes copied, unsuccessfully, Alex Tew's very successful Million Dollar Homepage, now there's a dude who wants to spread that filth all over an actual hillside, as in a real-world hillside in Austria. Thomas Kager, a 34 year old software developer plans to sell both pixels and actual real estate on a 10,0000 meter portion of a hill. As the press release explains, "Kager's idea is to market squares of virtual advertising space on his website to companies and individuals who, after their purchase, will receive one square meter of real outdoor advertising space for a five-year period."